How to cancel a shipping request? How to send a shipping request after cancelling one? 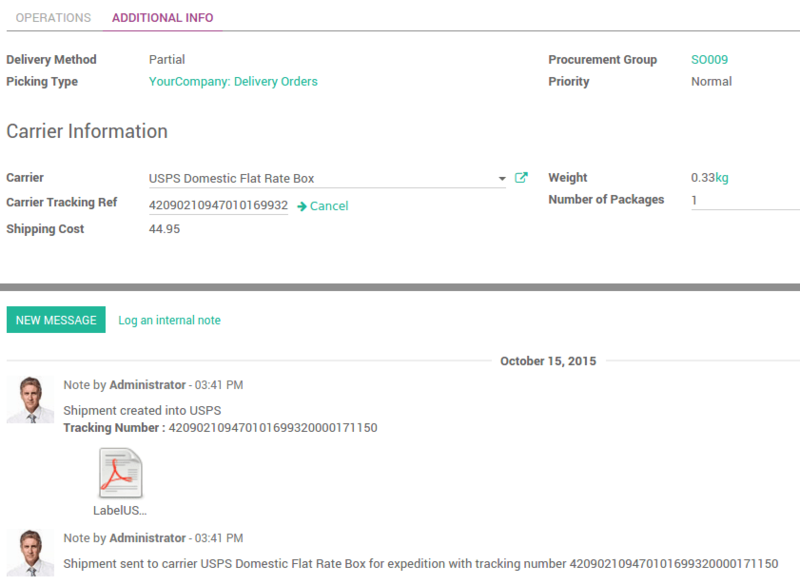 Odoo can handle various delivery methods, including third party shippers. Odoo will be linked with the transportation company tracking system. It will allow you to manage the transport company, the real prices and the destination. You can easily cancel the request made to the carrier system. If the delivery order is not Validated, then the request hasn't been made. You can choose to cancel the delivery or to change the carrier. You will now see that the shipment has been cancelled. You can now change the carrier if you wish. After cancelling the shipping request, you can change the carrier you want to use. Confirm it by clicking on the Send to shipper button. You will get a new tracking number and a new label.